The 61st annual Grammy awards which were hosted on Sunday at the Staples Centre in Los Angeles, California. They were a celebration of Black Excellence, hosted by singer/songwriter Alicia Keys who was joined by Michelle Obama, Jada Pinkett Smith, Jennifer Lopez and Lady Gaga, who spoke on the importance of music. And while Michelle was interrupted by deafening cheers from attendees, she did speak on how music unites, helps us share ourselves and allows us to hear one another. Alicia Keys made history as the first female to host the Grammy awards in 14 years. The last woman who hosted the Grammy’s was award-winning American rapper and singer/songwriter Queen Latifah who hosted the Grammy’s in 2005. With performances from Grammy Lifetime Achievement Award winner singer Dianna Ross who did a special 75th Diamond Diana birthday performance as an honour to her greatest musical performances. 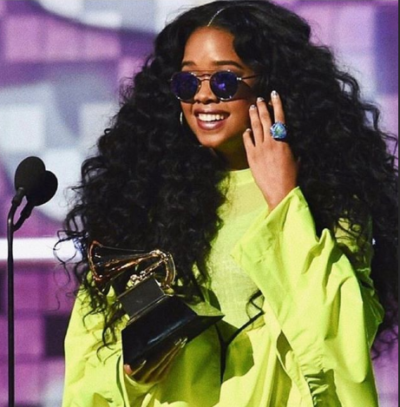 Other notable performances came from the likes of Cardi B, Alicia Keys (who at some point played on two pianos at the same time), Janelle Monae, Travis Scott, H.E.R and Chloe x Halle just to name a few. An awards show wouldn’t be complete unless we paid tribute to the musical legends who have left us, which is what the ‘In Memoriam’ Tribute segment sets to do as they honoured the artists who passed away in 2018. A special tribute was played to Legendary musician Aretha Franklin who died in August 2018 as Yolanda Adams, Fantasia, and Andra Day took to the stage and performed a rendition of ‘Natural Woman’. The post Everything that happened at the 61st Annual Grammy Awards appeared first on Bona Magazine.